A German TV show is focusing on Clara Immerwahr, the first German woman to be awarded a doctorate in chemistry. 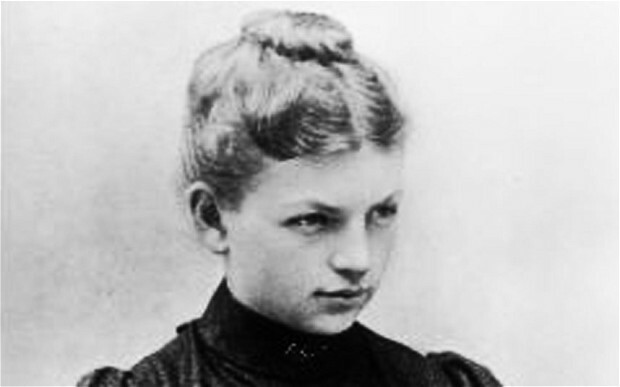 She and her husband, Fritz Haber, invented the process by which ammonia is produced to this day. During the First World War, Haber turned his attention to developing poison gas, unleashing the first weapon of mass destruction. Immerwahr was appalled at this development and committed suicide, shooting herself in the chest with her husband’s military pistol. Her death was then hushed up. The lavish TV drama, entitled Clara Immerwahr, focuses on the innovative woman’s work at a time when the highest level a female could reach in a chemistry context was lab assistant. Immerwahr begged Haber to stop his work on chemical weapons, and denounced it as a ‘perversion of the ideals of science’. He denounced her as a traitor in response. Immerwahr and Haber were both Jewish converts to Christianity. When the Nazis came to power Haber was forced to flee Germany. This entry was posted in News and tagged Centenary of the First World War, Clara Immerwahr, First World War, Fritz Haber, Germany on World War I, poison gas, TV, WW1. Bookmark the permalink.